Dreamers Update! Has it been ONE YEAR since the Dream started, already? WOW! March 21st is coming up. It will always be reminiscent for me. On March 21st of last year, I handed out jam. That jam was the beginning of a dream! It was the beginning of Dreamers actually! It has been a while since I have been able to update on Dreamers. Mostly because I have been so busy growing Dreamers. So with March 21st coming up, and World Down Syndrome Day right around the corner, I thought an update was warranted. As you may recall, Dreamers started out with one online store. Day one we said we had a dream. A dream to open a coffee house, and a dream to create jobs. I was not sure where that dream was going to go, and I certainly was surprised when others asked me if they could sell Dreamers as well. So with a huge leap of faith, we began Dreamers Merchants! We have grown into 22 online stores. We cover eight states across the United States. It has been exciting to watch the Dreamers share with us how they are setting up shop at various events and selling Dreamers coffee! They have begun their own dreaming as well! 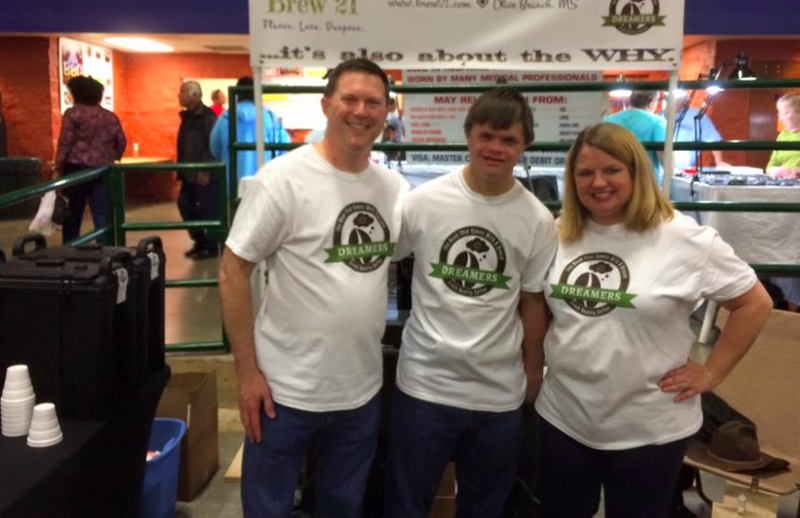 Recently, some of our store owners have been given the opportunity to sell coffee at Vantage Point Golf Range*, three days a week, at 9580 Macon Road Cordova, TN, thanks to Brittany and Chris Thompson. Dreamers Allison and Jay Thron are working along with me to create a training program. They have been absolutely incredible! 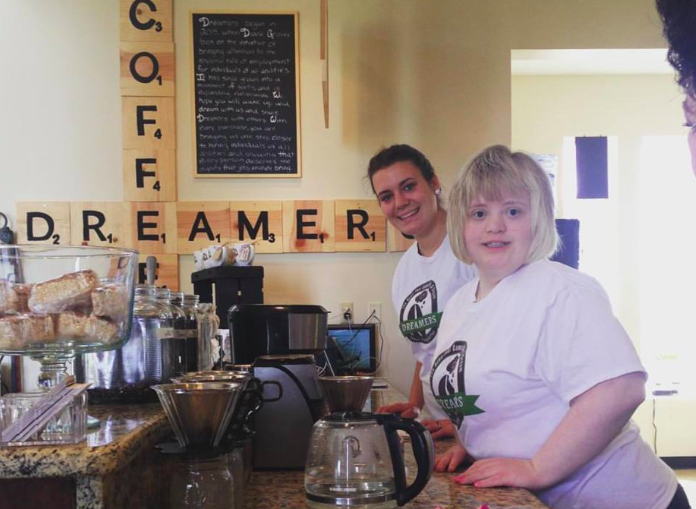 It is a learning process, and we are hopeful that in time, people will come out that way, just because they know they can get a cup of great coffee, and help us build the dream of hiring individuals of all abilities! Anyone who is looking to buy a bag of coffee can purchase one there as well! Most recently we have added tea! Both hot tea and iced tea! These are available in our online stores too! The story behind the tea is just as amazing as the story behind the coffee. In the mean time, we continue to add more stores so that people can bring the dream to their home town! If you are interested in selling Dreamers products, you can contact us at 901-849-7111. Growing a new company has been very busy. It is exciting and scary! I am grateful for all of the Dreamers! Each of them have been what drives me to keep going, and keep looking for ways to grow this dream! Mary Ellen turns 11 tomorrow! That means I have 10 years to grow it, so that when she graduates from school, she will be ready to work at Dreamers! In the mean time, each day we wake up and dream! This entry was posted on Wednesday, March 16, 2016. You can follow any responses to this entry through the RSS 2.0. You can leave a response.